Monk3ylogic love Tribe of Frog! 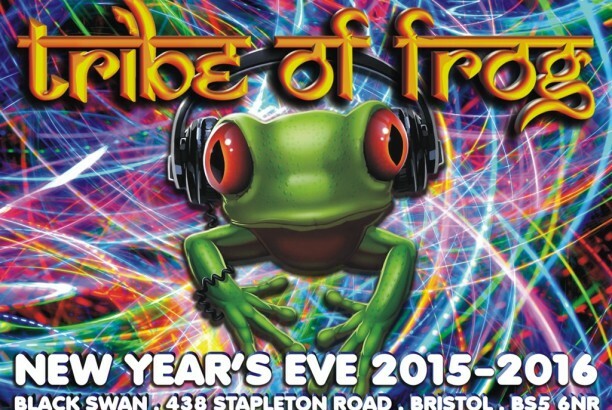 The party promoters from Bristol, famous for their stunning and immersive UV decor, and banging music (starting with psytrance but branching out to breaks, techno, dub, progressive, chill, dnb and more), have been putting on nights for over 15 years now, and are actively involved in loads of festivals too. When we started writing music together both me (Will) and Mike had been to loads of their parties over the years, and I’d also played for them many times with my psy project Subliminal System, so we were massively excited to be offered our first ever gig as Monk3ylogic at Waveform festival in September 2010. The rest as they say is history – we’ve played for ToF more times than I can remember and some of out best gigs have definitely been to the ToF crowd! Most recently we played just after midnight on NYE 2015/16, and again that was pretty special.